Asked if he is interested in running for Senate, former Florida Gov. 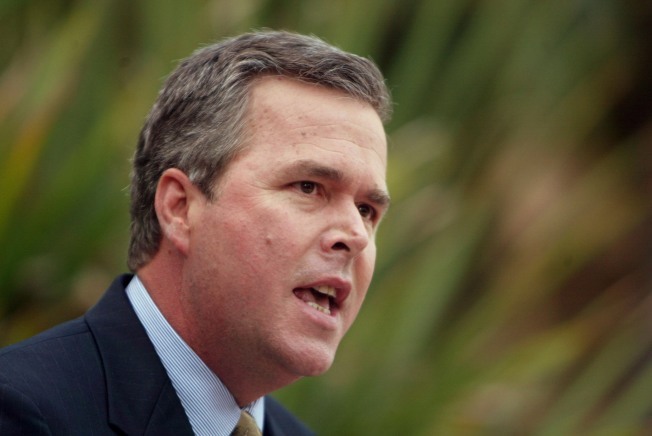 Jeb Bush told Politico, "I am considering it." Former Florida Gov. Jeb Bush – the younger brother of the president – is weighing a run for the Senate seat currently held by Republican Mel Martinez. A source close to Bush said he'll be thoughtful and methodical about the decision-making process. He will consider the impact a race would have on his family and his business and whether or not the U.S. Senate is the best forum from which to continue his advocacy for the issues on which he’s focused, such as education, immigration, and GOP solutions to health care reform. In an interview with Politico immediately after November’s election, the former governor said the Republican Party should take four primary steps to regain favor with voters: show no tolerance for corruption, practice what it preaches about limiting the scope of government (“There should not be such a thing as a big-government Republican”), stand for working families and small business, and embrace reform. Since Martinez's announcement Tuesday, Bush has received many phone calls and emails from Floridians and national Republicans urging him to run, the source close to him said Tuesday night. Bush has kept a low-profile since leaving office in 2007, but he retains a strong following among Florida Republicans and would almost certainly clear the Republican field should he decide to run. But he's in no hurry to decide, said a top adviser, and won't make a decision until after the new year.